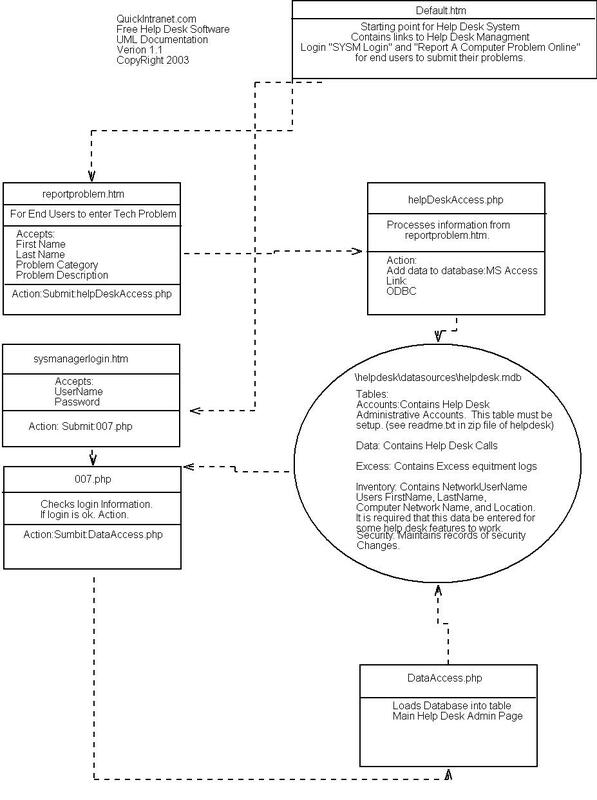 Here is half the UML for the QuickIntranet Free Help Desk System. This should provide you with a quick reference to how things are working in the help desk system. Later revisions will show more detail and other files.